Throughout mankind's existence, historians have tried to understand the known facts of the past by placing them into a story. 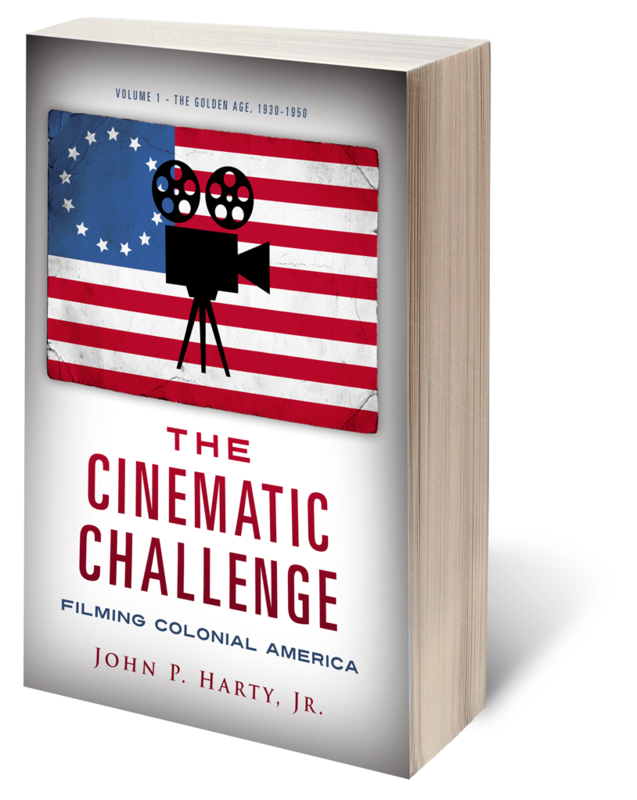 The story of colonial America has fascinated historians and filmmakers alike, however only a few brave producers and directors have been willing to accept the challenge of making a film about this compelling historical period. To begin, I posed two questions:"How hard was it to make a successful film about the colonial period?" and indirectly a second: "Why were so few films made about this remarkable time in our nation's history?" To answer those questions, I took a look at thirteen of the most important colonial films made in the twentieth century. Book 1: "The Golden Age" concentrated on four of those films (The Last of the Mohicans, Drums Along the Mohawk, Northwest Passage and Unconquered) made prior to and just after World War II and reflected the positive Consensus interpretation of our colonial origins. The details of each film's production, release and reception were presented in order to discover how each of the colonial films represented America's social-political history and how the films encapsulated the state of mind of the American people at the time of their release. Each essay also looked at the role the international markets played in the development of the films and their release. Each of the motion pictures represented a landmark in the development of the American film industry, its business organization and its artistic values and production methods. Nations need to constantly reaffirm their historical roots in order to maintain their political ideals. Motion pictures were one of the media used by nations to accomplish this task. To understand how we arrived at today's political environment, we must look at our nation's past. One way of doing this is by looking at the colonial films of the past which indirectly reveal our nation's soul.